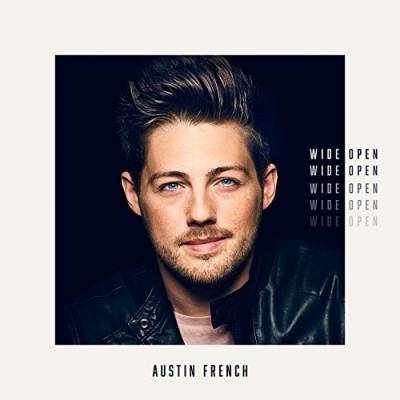 'Wide Open', the anticipated debut release from singer/songwriter Austin French is now out. The songs from the album have already racked up over 12 million streams, and have gained placement on top playlists like Spotify’s Top Christian, New Music Friday Christian and Top Christian Contemporary, Amazon Music’s Introducing: Pop, Divine Sound and Top 100 Most Played Christian, as well as Apple Music’s A-List Christian. To add to the momentum, French nabbed the honor of Fox Sports Channel's September artist of the month. Read More 'Wide Open', the anticipated debut release from singer/songwriter Austin French is now out. The songs from the album have already racked up over 12 million streams, and have gained placement on top playlists like Spotify’s Top Christian, New Music Friday Christian and Top Christian Contemporary, Amazon Music’s Introducing: Pop, Divine Sound and Top 100 Most Played Christian, as well as Apple Music’s A-List Christian. To add to the momentum, French nabbed the honor of Fox Sports Channel's September artist of the month. Establishing himself as a talented artist and songwriter who is open and vulnerable, French’s personally inspired 'Wide Open' takes real struggles from his own life and writes them into songs that are universally understood. With this album think Imagine Dragons mixed with Justin Timberlake and a little bit of Justin Bieber. This is an album of big pop choruses and catchy melodies with some great beats. All I can say is, after hearing opening track 'Wide Open' you will be singing these choruses non stop. The album is actually very fast paced. Songs like 'Born Again' and 'Freedom Hymn' have a British Rag n Bone vibe to them, this album really is inspired by the modern sounds coming from the US and UK. Yet on later track 'Why God' we see a very different side to Austin. This song is an honest heartfelt cry to God asking, "Why?" A brave and honest track for any artist. This album is a mix of pop tunes and intimate worship songs. Piano led 'I Need A Hallelujah' is one of those intimate songs, a stunning song that is well worth listening to. Yet the album quickly jumps from this really intimate time of praise into the funky track 'Good Feeling'. Now 'Good Feeling' is a great pop track but because it’s next to a more intimate worship song it makes the album jump about a bit musically. Another notable track has to be the politically driven 'In America'. Again some hard hitting themes going on here. This is an album for people who love the music that is in the mainstream charts. This is positive catchy praise music done with quality and style. This album will get you worshipping and dancing all at the same time.